Working with the mARk software is surprisingly easy. In just a few steps, you can create an extremely realistic visualization. After all of the 3D models have been linked to markers, you select the marker that is linked to the object you would like to make visible in the target virtual environment. You then hold this marker up to the webcam of your desktop or laptop computer. You will now see that the object is displayed in 3D on your monitor. By changing the position of the marker in front of the webcam or by rotating the marker, you can move the object on your screen in the virtual space. 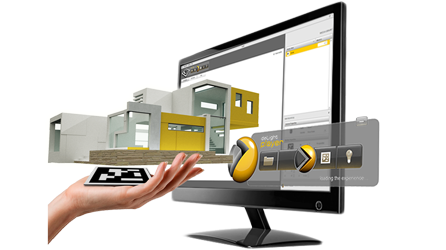 Depending on your visualization requirements, you can import the specific 3D models you need. 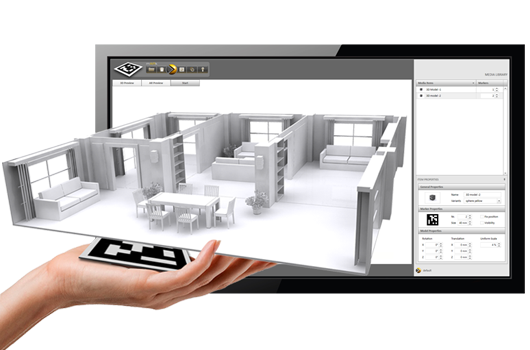 These 3D models may vary from furniture to automotive parts, and from buildings to individual rooms. You can use models from external databases for this purpose. However, you can of course always import models that you have created yourself, for example those created using programs such as SolidWorks, Sketchup or Autodesk 3D Studio Max. mARk works on the basis of the most common 3D file formats, such as OBJ and 3DS. This gives you the certainty of knowing that colors and textures will remain intact during the import process. Using the mARk software, you can then link the 3D models you would like to use to markers. You can best compare a marker to a QR code. 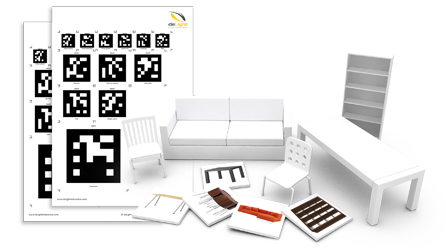 If, for example, you would like to design the lay-out of a virtual home, you link all of the objects to be used in the interior to individual markers. Since you can use an amazing 512 unique markers, you can mix, match and vary to your heart’s content. By adjusting the parameters, for each marker you determine the desired positioning of the 3D model with respect to the marker. You can save the results of all of the settings that you have chosen for each individual marker in a single deLight file. You can then play this file on any computer. You can also e-mail the file to someone at a different location. Since you have saved all of the settings in the deLight file, your colleague or customer can have the same experience, regardless of their location. All the other person needs is a deLight player, which may be installed free of charge. The possibility of creating multiple Augmented Reality (AR) displays is unique. This allows you to work in one screen, for example, and watch the immediate effects of your actions in another. However, you can also view an object from several different perspectives, while at the same time, making this visible on different displays. 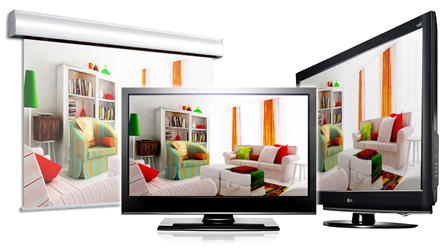 This might be a touchscreen, a projection screen or a monitor, or even an extra TV screen or a pair of 3D glasses. To maximize the 3D experience, it is possible to combine the use of the mARk software with Vuzix 3D-AR glasses or by using our advanced interactive table.